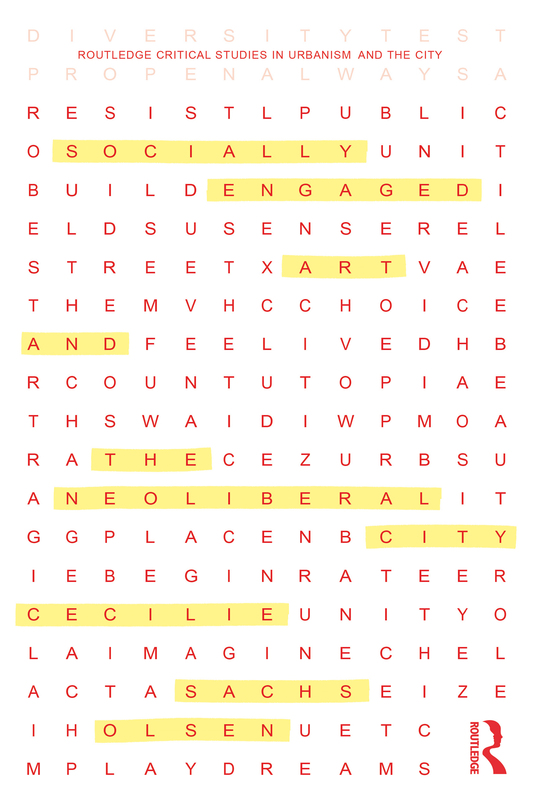 What are the social functions of art in the age of neoliberal urbanism? This book discusses the potential of artistic practices to question the nature of city environments and the diverse productions of space, moving beyond the reduction of ‘the urban’ as a set of existing and static structures. Adopting a practice-led approach, each chapter discusses case studies from across the world, reflecting on personal experiences as well as the work of other artists. While exposing the increasingly limiting constraints placed on public and socially engaged art by the dominance of commercial funding and neoliberal frameworks, the author stays optimistic about the potential of artistic practices to transcend neoliberal logics through alternative productions of space. Drawing upon a Lefebvrian framework of spatial practice and using a structuralist approach to challenge neoliberal structures, the book draws links between art, resistance, criticism, democracy, and political change. The book concludes by looking at how we might create a new course for socially engaged art within the neoliberal city. It will be of great interest to researchers in urban studies, urban geography, and architecture, as well as students who want to learn more about place-making, visual culture, performance theory, applied practice, and urban culture. A crisis of identity – art or social work?